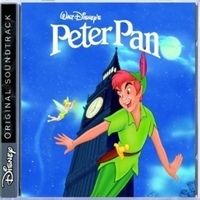 Peter Pan is a 1953 American animated film produced by Walt Disney and based on the play Peter Pan, or The Boy Who Wouldn't Grow Up by J. M. Barrie. It is the fourteenth film in the Walt Disney Animated Classics series and was originally released on February 5, 1953 by RKO Pictures. Peter Pan is the final Disney animated feature released through RKO before Walt Disney's founding of his own distribution company, Buena Vista Distribution, later in 1953 after the film was released. Peter Pan is also the final Disney film in which all nine members of Disney's Nine Old Men worked together as directing animators. The film was entered into the 1953 Cannes Film Festival. A sequel titled Return to Never Land and a prequel titled Tinker Bell were released in 2002 and 2008 respectively.